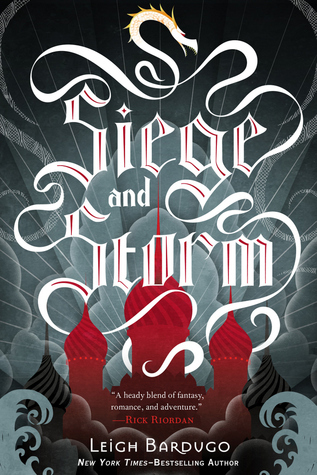 REVIEW: Siege and Storm (Leigh Bardugo) ***** – Mijn B.I.E.B. Let me start by saying that I love Sturmhond. Absolutely adore him. He reminds me so much of Captain Thorne from the Lunar Chronicles, whom, yes, I love too. I guess I have this thing for cocky yet cute captains? Anyways, I felt you needed to know this vital piece of information before I start my review. Vanessa ❤ Sturmhond, got it? Anyways, Siege and Storm, in general, was a pretty epic read. We start off at a rapid pace with Alina and Mal on the run from the Darkling, followed by a quest that’s so swift, it’s over before you blink. I won’t spoil what exactly the quest is about, but I guess I was sad the part about Rusalye was over so quickly? I feel it could have been a bit less hurried along. Could have been more. It certainly sets the pace for the rest of the story, though. Siege and Storm has a lot more going on than part 1. I liked Shadow and Bone, don’t get me wrong, but this second novel in the Grisha-trilogy really takes it to a whole new level. A lot of that was thanks to Sturmhond, who – did I say this already? – is like one of the best characters ever. #TeamSturmhond I loved him even more after he is revealed to be something other than just another pirate privateer … But I’ll leave It up to you to read the book and find out for yourself. Okay, yeah, I guess there were some other characters who did stuff too … None as amazing as Sturmhond being himself, but well, figures. I particularly found Alina to be a whole lot less annoying in this second book. She’s come into her own and generally sucked less. #SoEloquent. I loved her easy banter with Mal at the beginning of the book and the way she dealt with the new challenges and responsibilities thrust upon her in Siege and Storm. Siege and Storm is unlike any other book out there, and it’s epic, but despite the fast-paced storyline, I did struggle through it quite a bit. At first I felt rather daunted by the high level English in the first few chapters, but after a while I got my bearings back and didn’t encounter all that many hard words (except the Ravkan ones, lol) as I was expecting. So … Yeah. I don’t really know what else there is to say? Sturmhond = awesome. Alina = Less annoying. You = read this book! Previous Post Fictieve droomfamilie gezocht? 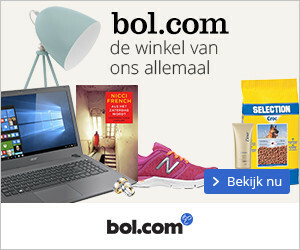 Next Post Hiep hiep voor Mijn B.I.E.B. = 1 jaar oud! Haha, helaas bestaat het niet echt 😦 Jammer hé? Moet dringend eens iemand werk van maken.